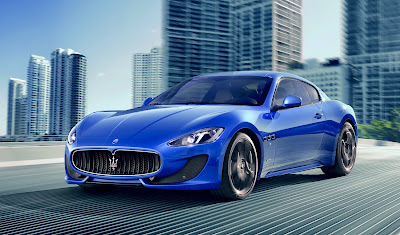 Already one of the most highly regarded in the world of sports cars, the Maserati GranCabrio Sport's bodywork has undergone a restyling which skilfully harmonises the characteristics of the GranTurismo Sport. 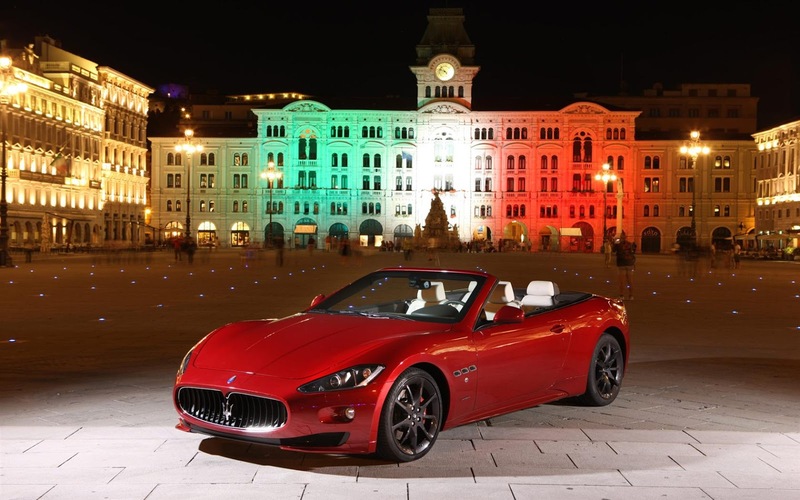 One of the most evident new features of the GranCabrio Sport is the design for the front end with new light clusters. Though they maintain their external form, they now incorporate completely new technological characteristics, including LED Daytime Running Lights technology. The steering wheel, with new design, is now more ergonomic and, in combination with the extended Trofeo-design paddles and light aluminium pedals, is better suited to sports driving thanks to a flattened rim and accentuated grip profile. The new grey EcoChrome materials for the interiors and the Poltrona Frau leather upholstery complete the existing characteristics, such as the steering wheel transmission paddles and the aluminium pedals. The Maserati GranCabrio Sport, which comes with a modern V8 engine that has already become a classic, adopts the most recent innovations in the field of engineering to deliver greater power and torque. Both the hardware and software of the engine have been improved significantly, improving its power by 10 HP and torque by 10 Nm, without adversely affecting consumption or emissions. At 7,000 rpm, the Maserati GranCabrio Sport delivers 338 kW (460 HP) with a considerable torque of 520 Nm at 4,750 rpm. 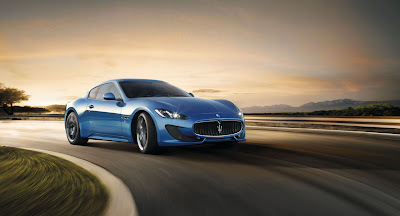 The automatic six-speed ZF transmission with MC Auto Shift is perfectly capable of handling the exceptional performance of the powerful V8 and derives from the transmission of the GranTurismo Sport. The automatic transmission is connected directly to the rear of the engine and transmits the torque to the same limited-slip differential through a two-piece articulated steel crankshaft. 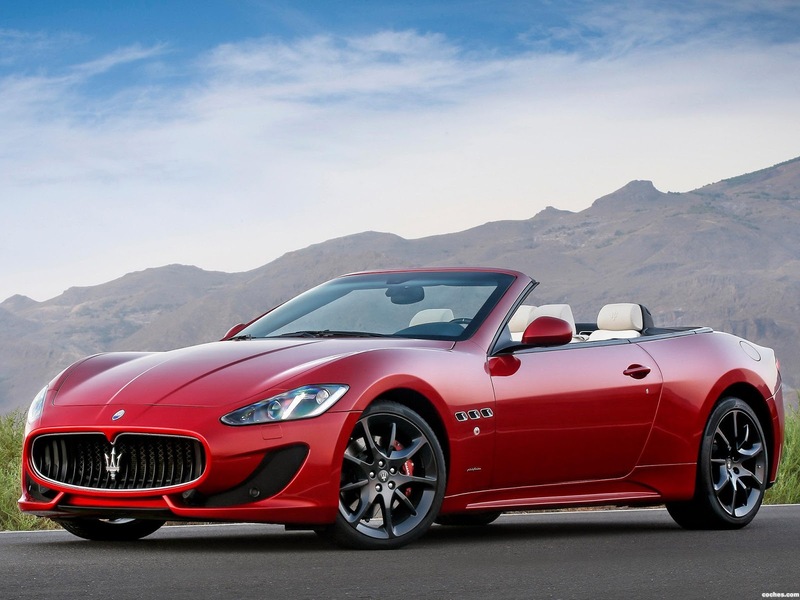 The Maserati GranCabrio Sport with MC Auto Shift transmission can reach 100 km/h in just 5.0 seconds. Top speed is 285 km/h. The Maserati GranCabrio Sport was designed to combine peerless driving comfort for all occupants with optimum handling at high speeds. Exceptional performance and road holding, as well as the handling of a great sports car, are qualities of the GranCabrio Sport that few other sports convertibles can boast. This is thanks to the shock absorbers with Sport Skyhook system, the most recent development of the Maserati damping control system. 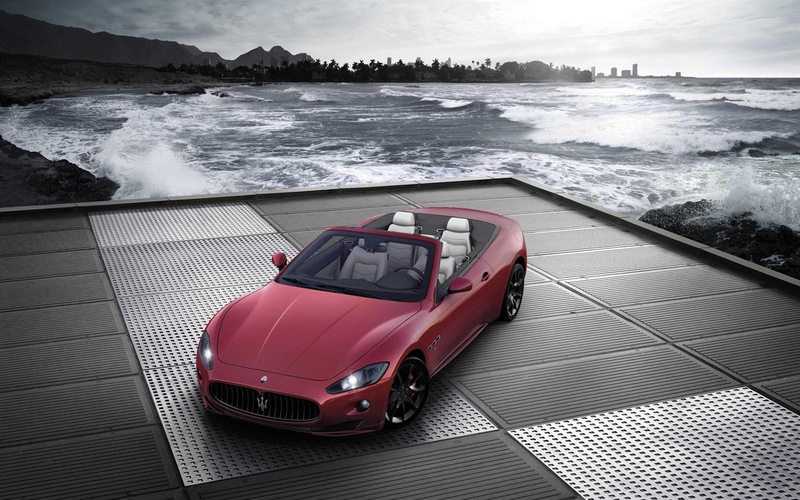 The Sport Skyhook system constantly adjusts the GranCabrio Sport's shock absorbers, adapting them to the road conditions. With the aid of a new rear anti-roll bar which is 12% more rigid, the Sport Skyhook system allows the vertical rigidity of the Maserati GranCabrio Sport to be increased by 10% in Sport mode.